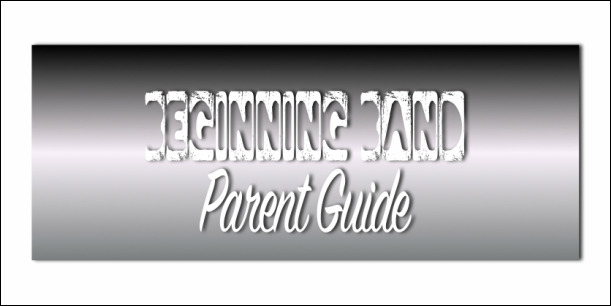 This guide is designed to help parents of beginning band students understand the rules, procedures, and expectations of the band program. Please read through this information carefully. You are always welcome to ask questions after you have reviewed all of the material. Click here to view our supply list. When you order, you will need to tell them the school district (Ray-Pec) and the school (Eagle Glen) and your child's name so we can get the supplies to your child as quickly as possible. We strongly recommend having Meyer Music deliver the items directly to school. If you do this, shipping is free, and it arrives much faster. Many times Ms. Gibson or Mr. McCoy can fix common instrument problems. We have several instrument tools that are not the same as tools you may have at home. If I cannot fix it, I will let you know. If the repair cannot be completed by Ms. Gibson or Mr. McCoy, we will recommend the instrument be sent to a repair shop. Many of you already have this covered through your rental agreement with Meyer Music. Your repairs may be completed at NO COST. If you did not select the repair plan or your instrument is not from Meyer Music, we can still send your child's instrument to Meyer Music. They will contact you before work is completed so you know how much the repairs will be. Students will have quizzes where they play their instrument for Ms. Gibson or Mr. McCoy. Students will track their progress in class, and for some assignments they will receive a sticky note (like the own shown) to put in their book. The sticky note shows their score for each learning target and areas to improve. In the beginning, only one or two learning targets will be graded at a time. Later in the year, students will be assessed on all four learning targets for each item they play. In band, all four areas are important to make a great performance. (For percussion students, the list of “Areas to Improve” has different items relevant to their instrument). Practicing is homework for band. It is an important step in the learning process for band students. As parents, you have the opportunity to help your child succeed in band! With your guidance and encouragement, your child will complete their band homework each night. Students are expected to complete their band homework, which is listed on Essential Elements Interactive website. Typically, this will only require about 15-20 minutes for students to complete. If your child doesn’t practice, they will fall behind in band. Fortunately, students who haven’t been practicing still have a chance to catch up. If your child isn’t practicing (in other words, isn’t doing their homework for band), then it is time to have a talk with them. Your child will sometimes rely on your guidance to help them make the best decisions for them. My child practices, but it doesn’t sound very good. ...yet! It doesn’t sound good yet because your child is still developing the fundamental techniques to make a good sound. It will get much better very soon, but only if they keep working on the skills assigned in their homework. Keep encouraging your child. It will only get better if they KEEP PLAYING! Create a good practice environment where your child can concentrate. Your child’s bedroom is fine for this as long as other siblings, pets, and any distractions are avoided. Create a specific time each evening for your child to practice. You only need to set aside 15-20 minutes, 3-5 nights per week. Setting a schedule helps your child know that practicing is important (and fun!). Individual practice is an essential element of learning an instrument and becoming a confident musician. Every student in band is expected to practice regularly throughout the school year. Students track and document their individual practice on the Practice Journal distributed in class. Students track their practice time in the journal and will turn in the journals using the online practice record form. Essential Elements Interactive assignments may be submitted throughout the week but must be submitted by the due date. Practice Journal: Track your minutes in your practice journal. Practice Rubrics are subject to change. 2 Minutes: Concert F for 8 Counts- On for 8, off for 8. 5-7 Minutes: Classwork assignments. (Will vary from week to week). 5 Minutes: Play what is fun to you! 5-7Minutes: Snare/Pad classwork assignments. (Will vary from week to week). 5-7 Minutes: Mallet classwork assignments. (Will vary from week to week). In band, it is impossible to participate without the proper equipment. All band students have discussed this policy on the first day of band. Mark you calendar! Beginning Band students have two concerts each year. Concerts are required events. You are welcome to invite friends and family to attend. The first concert usually lasts around 30 minutes. The May concert is the Band Departments showcase called the Band Extravaganza! This concert will feature Eagle Glen, a middle school band, and a high school band. After performing, students watch the other bands perform. It is an opportunity to see what band is like down the road. Fundraising is a necessary part of our band program. The majority of the budget for all music classes at Eagle Glen comes directly from fundraisers. It is important for everyone to participate. Running a successful band program requires several thousand dollars per school year and all fundraised money directly supports our school's music classes. All students in 5th and 6th grade are enrolled in a music class. So our fundraisers benefit the entire school! Our main fundraiser will begin October 5 and end October 23. More details will released closer to those dates.